Dairygold has joined up with some of the country’s largest dairy processors to promote and encourage sustainable dairy farming. 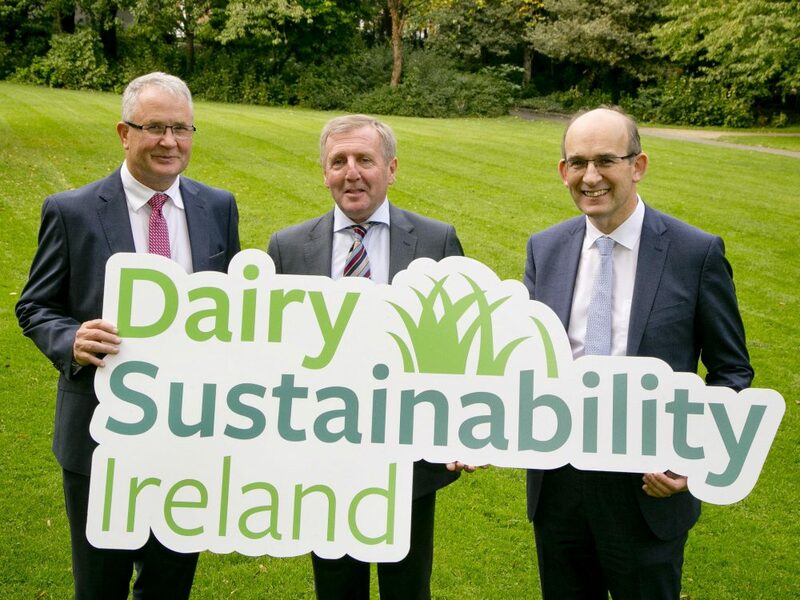 Dairy Sustainability Ireland is committed to assisting the country’s dairy farmers to improve productivity and profitability whilst meeting increasingly stringent environmental requirements. It is a unique venture as it involves parties from across the industry and State sectors. Membership is made up of the dairy processors, Teagasc, Bord Bia, the Department of Agriculture, Food and the Marine, the farm organisations (ICOS, IFA, ICMSA and Macra na Feirme) and the National Dairy Council. Dairygold is rolling out a pilot-programme among 30 of its dairy farmers promote economic and environmental sustainability at farm level. The programme sees the publication of a guidebook for dairy farmers titled ‘Improving Soil Fertility and Protecting Water Quality’. It will be used to drive awareness of best environmental farming practice, particularly in relation to the ‘targeted’ use of fertilisers, good farmyard management and the protection of water courses from farm pollution impacts. “Targeted fertiliser planning and good farmyard management is a ‘no brainer’ for dairy farmers in terms of reducing cost, environmental footprint and improving farm incomes. Studies confirm that better grass growth can be achieved at lower fertiliser cost but only 10% of Irish soils are at an optimal fertility standard. If the right steps are taken to improve soil fertility and pH, an (average) 35-Hectare grassland dairy farm could generate over €40,000 in additional farm income over a five-year period.” Mr Woulfe said. Similar programmes will be run across five other processors, including Aurivo, Carbery, Glanbia, Kerry Group and Lakeland Dairies engaging with 180 dairy farms across the country.